The temperature’s dropping steadily as this is being written, and that can only mean one thing; winter is coming. A lot of frozen pipes lie ahead, which means a lot more call on plumbers’ time. Add in Christmas and New Year holidays in December and you get some very full calendars. If you’ve had your eye on installing new fixtures or fittings for your bathroom and you want professional help, what that means is that you need to book now – or you’re going to be putting it off until into 2018. The positives of putting it off include more freedom in booking a time; it could make it easier to arrange. 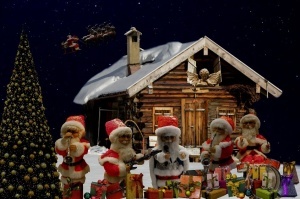 On the other hand, if you get the work done now, you get it done ahead of family visits and busy days at Christmas. Depending on what you’re having installed, it could even act as some extra protection against those burst pipes! If you’ve been trying to choose between options and you want to act fast, why not contact us for advice? We’ll be happy to point you in the right direction and take your order. It’s getting rarer for bathrooms not to boast a mirrored cabinet near the sink. It may be the only mirror in the place; either way, it’s likely that your cabinet serves two purposes and brings a double meaning to the phrase ‘look in the mirror’ – a quick check that you’ve wiped away all the excess shaving foam or cleaned the last traces of your makeup, or a check for bathroom aspirin, spare razor blades, mouthwash and more. Originally created as a space saver for the more compact of bathrooms, the idea caught on like wildfire. And well it should; a mirrored bathroom cabinet has a lot of flexibility, and these days, may come with any number of technological add-ons and benefits. We carry cabinets with LED and overhead lights – and those lights, in some models, are operated by IR switches, allowing you to turn them on with a wave of your hand. Some come with shaver sockets incorporated! The mirrored cabinet isn’t a humble thing anymore. Far more than a space-saving measure for a smaller home, the mirrored cabinet now can be a mark of opulence – and a very practical one at that. 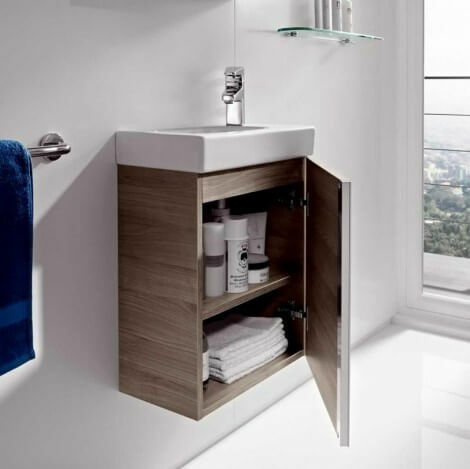 For more information on how to make the most of your bathroom while also making it look stunning, please get in touch – we’ll be happy to help you choose the perfect cabinet. When it comes to your new bathroom, there’s no finer choice than something stylish, sleek and modern. As trends move to clean, straight edges, we think that the Aquarius range’s Skara products are a stunning combination of what makes sharp lines so attractive in bathroom design whilst retaining a unique sense of identity. The result is as eye-catching as it is practical. Take for instance the Skara bath. Even from first glance you can tell that this is a stylish unit that will look perfect in your modern bathroom, but the real trick – both to the bath and to the entire Skara range – are the subtle curves. This is a bath that is as comfortable as it looks. What’s more, the Skara baths come with Armatura Plus reinforcement. That means that you can depend on the acrylic being premium grade and reinforced with bonded layers of Armatura Plus reinforcement and fibreglass. This means that when you slip into your Skara bath, the very shape of the bath will remain solid. There’s no bulging as the water shifts, meaning that you can relax knowing that your bath is going to be as durable in a year as it was the day you bought it. As well as this Armatura Plus reinforcement provides an unparalleled thermal capacity to your Skara bath. The water is going to stay hotter for longer, meaning that after a long day you’re going to get a bath at the temperature you deserve, for as long as you deserve. These are the trends that continue right the way through the Aquarius Skara range, curves that don’t detract from the contemporary style of the fixture. For instance, the BTW WC unit provides a solid backing, but a softly curved seat that keeps an element of more classic fixtures. The same goes with the basins – straight lines where it counts, with subtle arcs in the design to keep it all eye-catching and remarkable. We think you’ll agree that Aquarius’s Skara range is satisfying to behold, and you’ll be stunned at just how affordable a price this quality comes at. It’s easy to see why our Skara bathroom rage has become so popular. We invite you to come and talk to us, either through our form or over the phone on 01524 841087, so you don’t need to delay in having the elegance of Aquarius Skara bath in your home. When we were kids, the common complaint after a shower, especially in a big family where someone else would need to use it not long afterward, was that we’d tracked water all over the floor. It gets everywhere, it doesn’t drain – there were, and are, so many complaints. The fact of the matter is that a traditional bathroom may be designed for heavy use of water, but the room itself isn’t built for it. And that’s one of the reasons that wetrooms have become so popular, so quickly; they aren’t just the room where it happens; they’re purpose-designed for it. As with everything else in life, the cost for something new starts out high but it falls pretty rapidly. Companies like Impey, in particular, have really worked hard to bring the price down without sacrificing quality. While it does represent a bigger investment than just putting together a new shower, it’s one that repays itself in life expectancy; your wetroom will last longer and function better throughout its life. Water drains away easily and quickly, with no risk of it seeping into cracks it shouldn’t and damaging your bathroom fixtures. Best of all, Impey’s various wetroom floor formers are designed to be easy-fit while still making conversion to a full wetroom simple. If you’re wondering whether a wetroom is the right option for you, we invite you to get in touch. The team here are ready to listen to your circumstances, discuss your wants, needs, and budget, and work out whether a wetroom is something you should be looking at right now. Contact us through our form or over the phone on 01524 841087 today. January’s started comfortably now and, let’s face it, most of our New Years’ Resolutions are already petering out or already dead in the water. Still, a new year does feel like it needs to be properly marked in some way; redecorating or renovating a room in the home is a common reaction. And why not, after all? Why Not Update Your Bathroom? It may not be something you think about all that often, but your bathroom is one of the places you’ll spend a lot of your time – and the design of bathroom fixtures and fittings is constantly developing. Consider the Aquarius range, which blends state-of-the-art engineering, design, and high-quality manufacture with advances in construction that make for a fast, easy, and above all, watertight fit. Building a new design around an Aquarius bath or shower provides a better experience every time, gives you long-term piece of mind about your plumbing, and gives you that satisfied New Year feeling of achievement. More generally, it’s still worth taking a moment to ask yourself if the shower you currently have is up to date, or if it’s time to upgrade the bathroom as a whole. We’ve looked at a number of potential options for that already in our Bucket List Bathroom series, from the Devoted Reader through the Sumptuous Shower to the Comfortable Combination, and any of those might set your imagination going. Food for thought; the Aquarius range that we mentioned before carries a 10-year guarantee when you order it from us at UK Bathroom Store. And that’s the guarantee period for products made to today’s standards with today’s materials, designed with today’s understanding of technology and the wear and tear that the plumbing in your home takes. Has it been ten years since the last time you replaced your bath, shower, toilet or sink? Has it been longer? Something failing and a plumbing nightmare engulfing your house could be years away – but if it’s been some time, then remember that the clock is ticking. That’s why we recommend considering replacements regularly. Even if you don’t upgrade, it’s good to take the time and ask yourself if you need to. If you’re not sure, then please, get in touch. We’ll happily offer expert advice. As December gets rolling and the team here at UK Bathroom Store turn out to have already opened most of the doors on our Advent calendar and made off with the sweet stuff, Christmas is definitely on the horizon. It’s traditional at this time of year to reflect on what’s past and what’s yet to come, and from our perspective, it’s been a busy year – and that’s good. 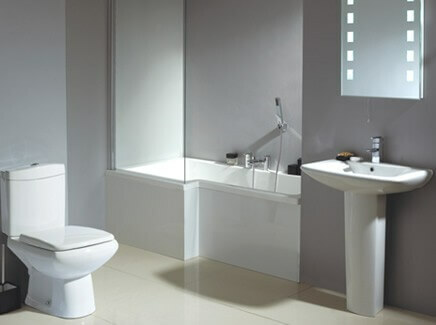 We’ve dealt with a lot of customers, domestic and in the trade alike, and we’re confident that we’ve made bathrooms across the country more comfortable, better looking, better heated and even, in some cases that badly needed bringing up to date, more efficient. From our perspective, it’s hard to complain about a year with a record like that, and we hope that for you reading this you’ve had a year of success too, and happiness, and progress. Whatever the case, to all our customers, past, present and future alike, we’d like to take this opportunity to wish you a very Merry Christmas and a happy new year from everyone on the team. Remember, on into 2017 nothing will change – we’ll still be here whenever you need new fixtures, fittings, or accessories for your bathroom, and we’ll still work hard to get you the low prices and expertise you need. With long, dark nights and a chill that sees everyone on your street have to break out the de-icer, scrapers, or leave the car running for a while to warm up, the amount of time people give themselves to get things done outside of the working day gets smaller and smaller through December – and that big block of holiday at the end of the month doesn’t help! UK Bathroom Store is standing by to supply our trade and domestic customers with anything you need in this chilly, frozen time. Whether you’re worried about the risk of frozen pipes or you’re looking at upgrading your shower so you can stay warm and comfortable during your morning routine – or anything else – we’re here for you. But we want to remind you – this is a time of year when delivery services are stretched to their limits. It’s a time when our friends in the trade may have to deal with invoices owed to them being processed later than expected as banks and businesses start to break up for the festivities. We recommend, outside emergencies, ordering early to make doubly sure you have what you need in time. For our domestic clients, we present a quick reminder; if you have older or infirm relatives coming to stay for the holidays, do you have something to allow easy bathing? The Sagittarius Pebble Bath Mat is currently on sale and can help guard against slipping in the tub, and there are plenty of other easy bathing options if you’d prefer. Whatever it is you need, now is absolutely the time to make sure you have it to hand. By doing this, you also allow us to service any emergency customers more easily – so it’s not just helping yourself, but also everyone else in need of support this holiday season. 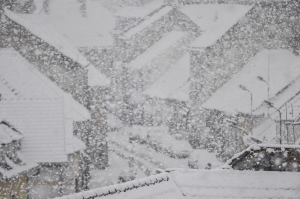 As November looms ahead of us we can expect the British winter to finally rear its head soon. The first frosts are beginning to glisten on cars across the nation, and at this time of year our thoughts inevitably turn to keeping the house warm. Now more than at any other time of year should we be asking how warm the bathroom is. After all, we spend an astonishing amount of our time there, and a not-insignificant amount of that time we spend in states of undress. So heating is essential – but many bathrooms start out with less than they really need, especially when you remember how much time the typical bathroom window spends cracked open. So what’s the best option? For an existing bathroom, there are two key approaches; you can replace the existing radiator with something better, or you can add a heated towel rail (or, for greater effect, both!). There are plenty of options for radiators these days; the convector radiators linked above function much as they do in the rest of the house, but the unique size concerns of a typical bathroom can also make traditional column radiators attractive – particularly super-tall models like the Reina Colona 2 which packs a lot of heating without taking up too much room. 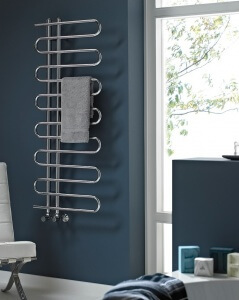 You’ll also find that many designer radiators take up less floor space than you’d expect without sacrificing heat. Because your bathroom is the place you’re most often wearing the least, sometimes you may want to keep the heating on there when you’d worry about overheating the rest of your house. Almost all the radiators we have in stock can be installed in three separate ways, giving different options for controlling your heating. The simplest of them all, this installation simply sets your new radiator to work alongside the rest of your central heating loop. In addition to the standard central heating loop, these dual fuel radiators also have an electric element, allowing you to keep your bathroom warm through the summer without heating the rest of your home. Using the electric element as above, these radiators aren’t linked to the central heating loop (making them comparatively easy new fits) and instead are filled with custom-synthesised oils designed to heat quickly and to retain that heat for a long time. These let you control your bathroom’s heating completely independently of the rest of the house. When designing or rebuilding a bathroom, of course, you want to take future winters into account – and you have one extra option to hand when you do, and it’s a great one! Underfloor electric heating can change the whole feel of a room, and when standing barefoot on tiles that gently radiate warmth, there’s an immediate and instinctive reaction – any human has it; it’s the same reason that walking on a warm beach feels so good. Setting that up, with a towel rail to keep those toasty-warm for when you step out of the shower, will give you exactly what you need from your bathroom – so next time you remodel, plan ahead. Before there were power showers, it was common to have to avoid using any other water outlet in the house when someone was taking a shower in case you threw the temperature of the shower violently off, drenching the unfortunate bather in scalding hot or freezing cold water. In the early days of power showers, you still faced issues with temperature control. While those days are now well past, the memories are so strong that they fuelled comedy from Eddie Izzard and Mitchell & Webb. It’s become part of our shared experience, despite no longer being true in the world of modern showers. Of course, a temperature knob (or whatever name you want to give it) can give very precise control, and modern ones do – but that very precise control doesn’t mean it’s always easy to see if it’s on the setting you’d prefer, especially if you share a house with others who want them hotter or colder. For anyone in that situation, the solution has arrived – and these days, it’s available at a reasonable price point. Digital showers give precision in information as well as control. They’re easily adjusted and make sure that everyone knows exactly what they’re getting – and several, including the Mira Platinum and Mira Vision ranges, can be remotely controlled, allowing you to start the shower up and get it up to temperature while you prepare everything else – and leaving you absolutely certain what kind of temperature you’re about to step into. And, in fact, at the time of this writing, the Mira Platinum range is also on sale here. If you’re looking to trade up in shower models or have a new bathroom to equip, there’s never been a better time to look into the digital revolution in showers. Change the way you shower. Take total control – without taking it away from those you share a house with. Showers have improved year on year since the advent of the power shower. Keep in touch with UK Bathroom Store and you’ll be able to keep up with the wave of innovation; for more detail, you can fill out our contact form or call 01524 841087. We call them vanity units because they hide the plumbing, and the idea was that this preserves the homeowners’ ‘vanity’ – which seems odd, from a modern perspective. But the name has stuck. It’s an unwritten rule that where plumbing is concerned, it should be hidden. 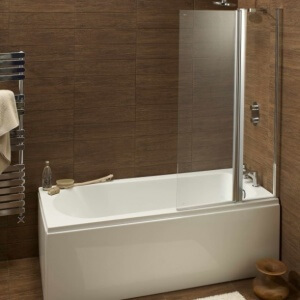 Most baths are fitted with side panels to do just that, and where free standing baths reveal it, it’s to make a feature of beautiful chrome or brass-plated pipework. But nobody calls these panels ‘bath vanities’ – and yet they do less than the humble vanity cabinet. We use our bathrooms in two moods; when we need to act quickly and efficiently, and when we want to take our time, relax, and unwind. In many ways, your bathroom has to be one of the most flexible rooms in your home. For efficiency, you need everything to be in the right place, and to be easily accessible. The additional storage of the vanity unit – especially as it’s positioned right by the basin – allows you to store bathroom essentials (and some luxuries, like bath salts) for quick access when they run out. No more desperately wishing there was another roll of toilet paper! But just as important – if not more so – are the times you go there to relax and unwind. After all, you’re in there for much longer at a time that way. Having everything neat and tidy and out of the way gives an immediate benefit to your relaxation. There’s no part of your awareness nagging at you that something’s out of place, or that a pyramid of toilet roll is sitting in the corner, or whatever it happens to be. A vanity unit allows you to make the most of the room’s space. It takes an area which is already occupied by the sink basin and allows you to double-up on its use, keeping storage handy and out of site while freeing up space – and as you’ll already know, it’s much easier to relax when there’s a little open space around you than when you’re confined. While we do feel that there’s more to a vanity unit than vanity alone, it has to be said that the sheer variety available means that you can always find one that works with your bathroom’s current aesthetic and helps it to look even better. When choosing your vanity, always take appearance into account as well as its dimensions. If you’re not sure what to go with, you can always get in touch, either online or by calling 01524 487679.